BMW has announced that the 2017 2 Series line is getting the latest BMW TwinPower turbo engines under the hoods. The 2 Series will use four and six cylinder engine options. 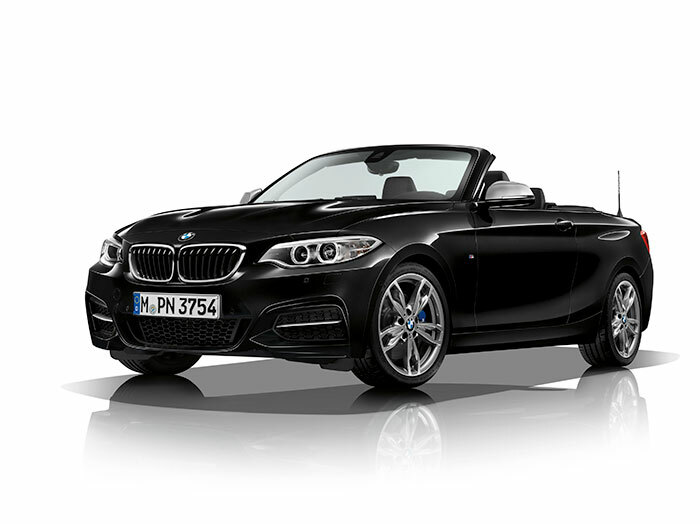 The 230i coupe and 230i convertible get the 2.0l TwinPower four cylinder engine with 248hp and 258 lb-ft of torque. An M Performance model will be offered in the form of the BMW M240i and M240i convertible packing an inline turbo six. That TwinPower 6-cylinder engine makes 335hp and 369 lb-ft of torque. That is a 15hp and 39 lb-ft increase compared to the outgoing model. The M Coupe can reach 60mph in 4.2 seconds, 0.2 seconds faster than the outgoing model. The convertible version can reach 60mph in 4.5 seconds for the automatic or 4.7 seconds for the manual. The M series gets the Steptronic Sport Automatic transmission but can be had with 6-speed manual at no extra cost. These M versions can be had in RWD or BMW xDrive AWD versions. M Sport versions also get special 18-inch lightweight alloy wheels and Michelin Pilot Super Sport tires along with an M Sport brake system. Pricing is unannounced until closer to launch this summer.